From 1983 to 1987, Tosh recorded what he called the "Red X" tapes. They were monologues and musings which were to form the basis of an autobiography. It seemed that whenever Tosh saw his name on any official document, it was marked with a red "x". The tapes were discovered in 1990, and the audio from them form the basis of Hercules in the Haunted World, Nicholas Campbell's spooky documentary - now available on DVD from Cinema Vault Releasing (distribution by Music Video Distributors) -- about the life and death of Peter Tosh. 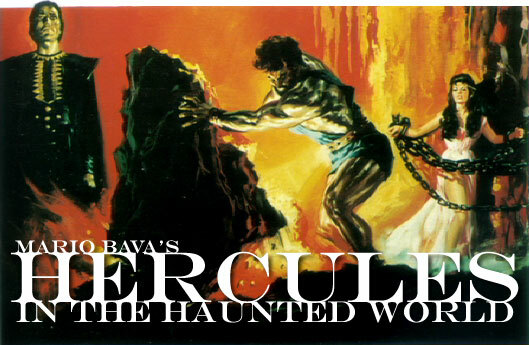 Hercules in the Haunted World is now available on DVD from CinemaVault Releasing (distribution by Music Video Distributors). Special features: biographies and an original trailer. Suggested retail price: $19.95. For more information, check out the Music Video Distributors Web site.